I may be an avid crafter but sewing is one thing I'm terrified off! Now I have a sewing machine but getting it out and actually using it fills me with nerves. 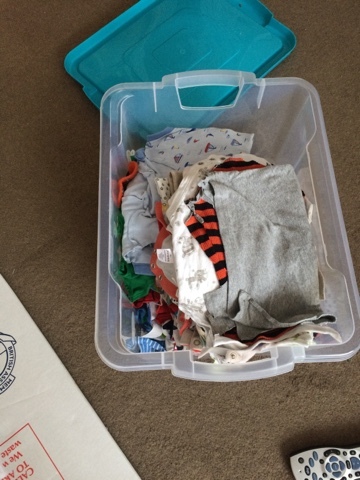 But I am going to attempt (attempt being the operative word) with the support of some awesome friends and family around me, to make a memory quilt using baby gros and clothes the boys have worn over the years. I'm using this tutorial http://coconutrobot.com/2014/06/how-to-make-a-baby-onesie-quilt/ for the basis of my quilt. 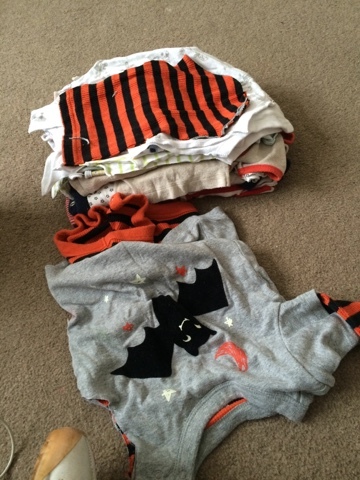 I started with a box of selected baby gros and vests and tops from the boys. I sorted them out during the packing up of the move. First job was I cut the seems and sleeves to make into flat pieces of fabric to be using to get the squares from. Which left me with a box ready to make into a quilt. 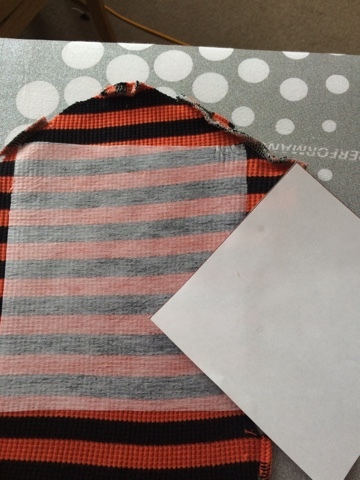 The tutorial recommended interfacing he back of the pieces before turning into a quilt as it makes them more sturdy. Seeing as this will be my first big project I followed the rules and my lightweight intrefaceing I cut into large squares than the 5.5inch square I'm planing for the quilt top. My thinking is then I cut and trim them down smaller. 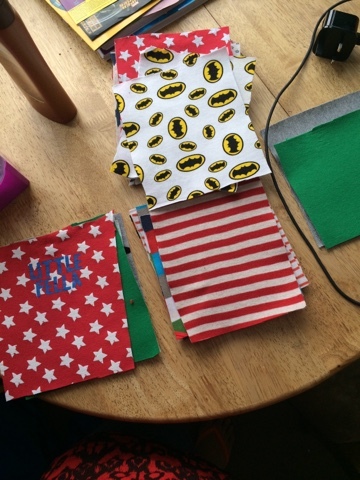 My little stack of fabric pieces is growing and brings back memories. I still have a fair few to go but I'm pleased that I've made a dent in starting it. We shall see how it turns out! 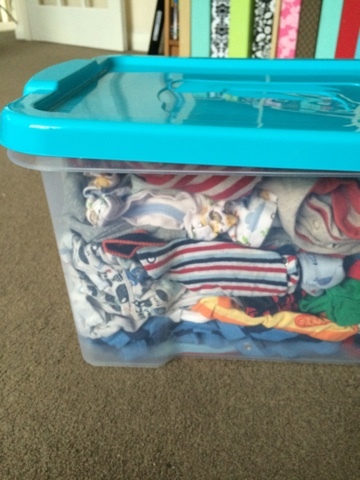 I've a box of the kids baby clothes which I plan to turn into a blanket....Not until I've a sewing machine though. Such a nice idea, unfortunately I have not a crafty bone in my body!